There is a lot to offer in Playa de las Americas like renting a car and going for a drive to the many attractions of the Island. You can take a trip to go do some shopping in the markets and then you can take a drive to some of the many attractions that are to offer. We have many offices around the Island to rent a car. Wouldn´t you rather to be able to go at your own leisure and enjoy the many sights aroudnd the Island? 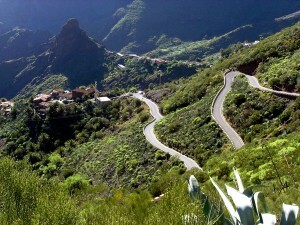 Such as Mount Teidi and The Masca which is also known as The Hidden City these are both situated close to each other. There are many amazing attractions available to the public around Las Americas such as the beautiful Troya Beach; which is beautiful whether you like going into the water or not! It´s perfect for people watching and soaking up the sun. Renting a car with Canarias.com would make it easier for you to not only travel places but easier to enjoy your holiday as you do not need to be stressing or worrying about bus times, bus delays, or paying over the top for a taxi.